I’ve been a fan of this beautiful weather app for months and Yahoo finally launches it for the iPad, making the app Universal. Winner of an Apple Design Award 2013! 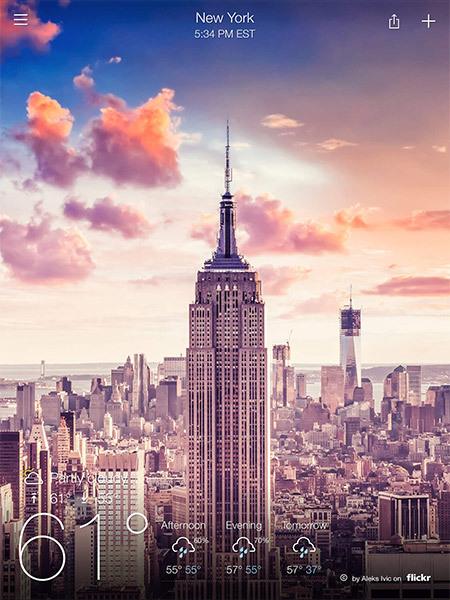 See the weather like never before – only Yahoo Weather combines stunning photos with accurate forecasts across iPhone and iPad. 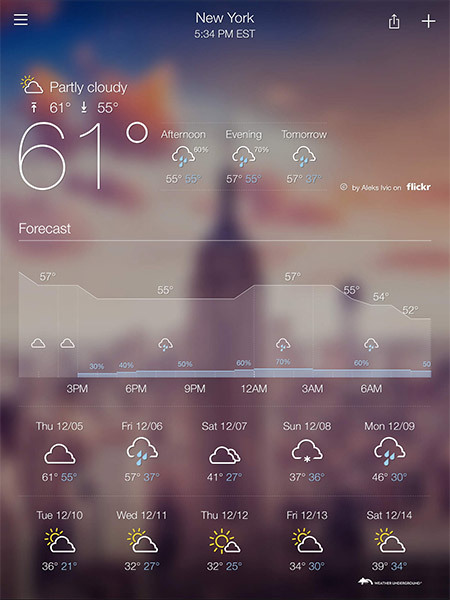 The forecast is beautiful – Yahoo Weather’s immersive experience makes checking and sharing the weather inspiring and entertaining.